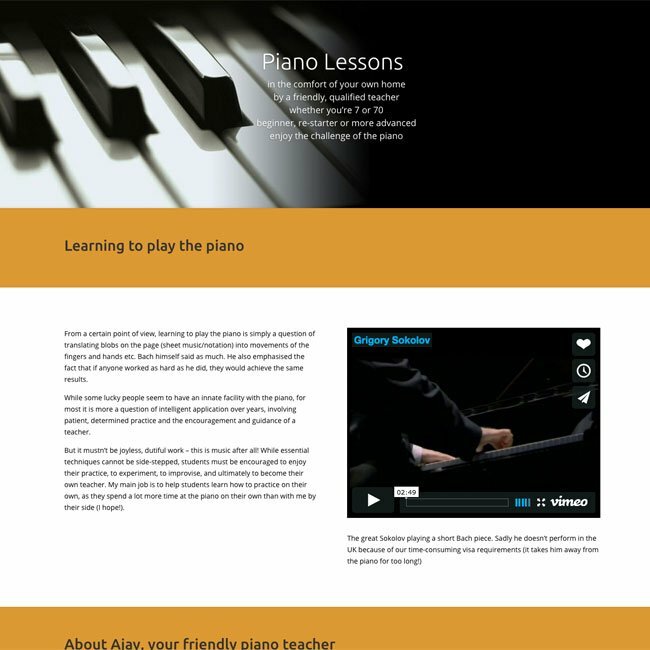 This is an example of a one-page website. These are quite popular these days as they suit tablets and smartphone users because they can just scroll down rather than need the menu. Obviously only suitable for sites with a limited amount of information. It means all of your SEO (search engine optimisation) can be focused on one page too.